highly stable and forceful arc even if the machine is operated on cables with a length of up to 200 m.
diameter of up to 8 mm or need a tool that can handle vertical down-welding operations with cellulose electrodes (CEL). 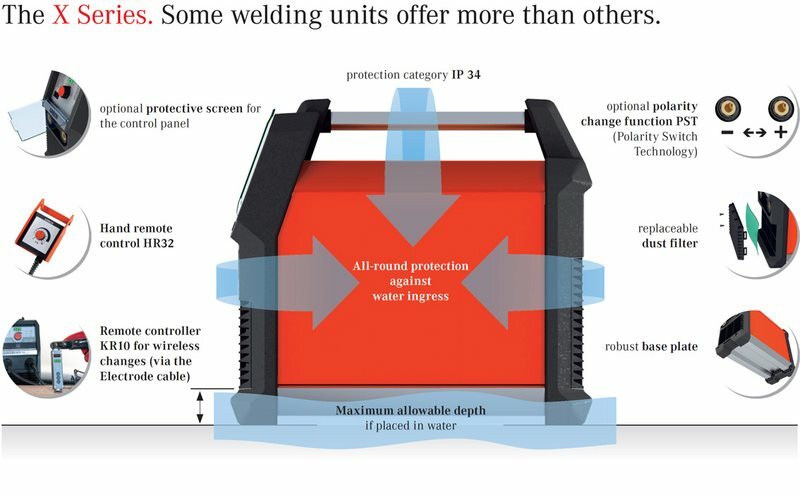 What is more, ContacTIG allows you to perform TIG welding operations using direct current. The Anti-Stick system prevents the electrode from sticking. Arc-Force regulation supports the welding process with increased arc stability and optimised metal transfer. Thanks to its low weight the Lorch X 350 preserves your mobility and flexibility no matter where your work takes you. 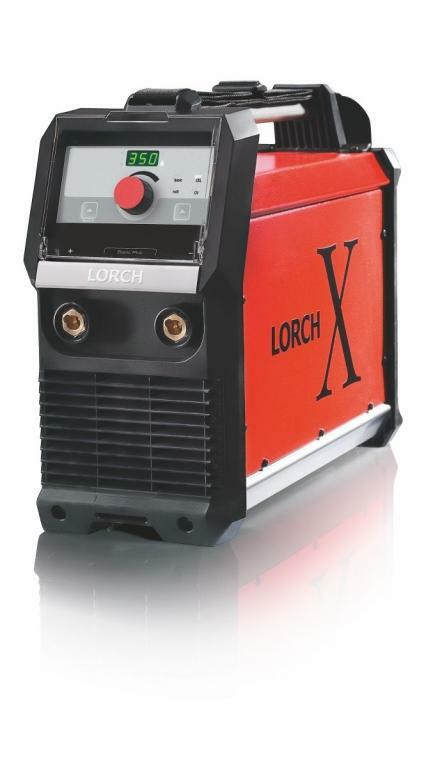 The Lorch X 350 can now also be controlled using an optional hand or foot remote control. plugging the welding cable in at a different port as the remote control lets you effortlessly reverse the polarity. with a large electrode will suffice. intricate design even makes it possible to place the Lorch X 350 in accumulated water up to the level of the base plate. stable arc even when operated on long mains cables with a length of up to 200 metres or when hooked up to a generator. 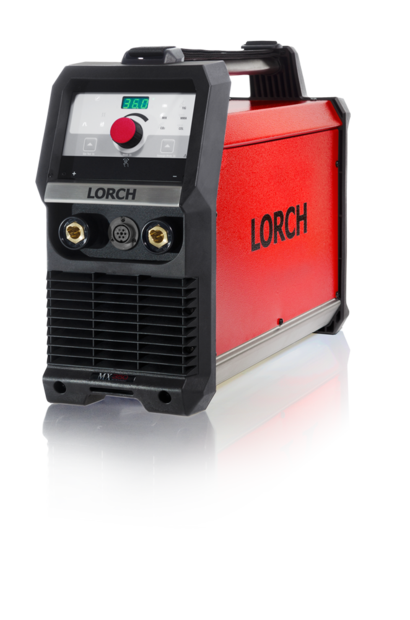 Apart from electrode welding, the Lorch X 350 also handles gouging applications without a hitch. 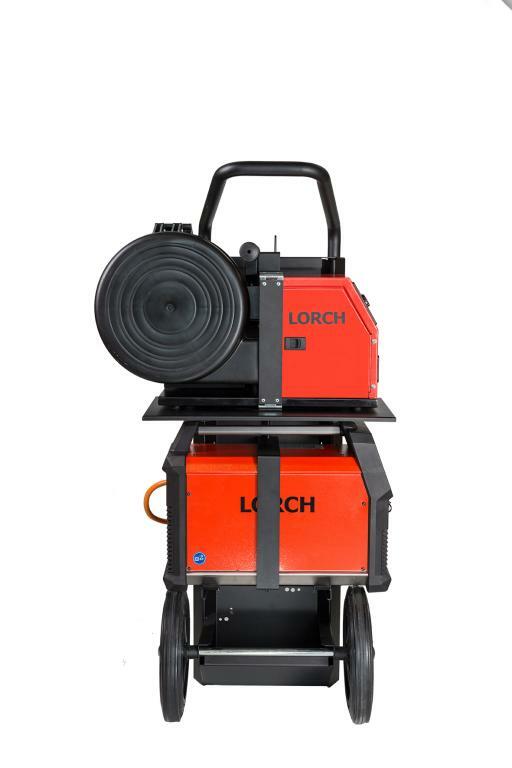 The Lorch X 350 can also be used with semi-automatic MIG-MAG wire feeder cases.